For one reason or another, springtime always injects me with a craving for whimsical and melancholy, vintage folk songs. In fact, even though I'm beginning to despise the rain, one of my most enjoyable times this season was last week when I put on some records, laid on the living room floor with my children, stared out the large window, and watched the rain drip off the eaves and the verdant green leaves. It felt pretty magical. So, quite a bit of my listening time has been consumed with music by Vashti Bunyan, Sibylle Baier, Marianne Faithfull, Nico, and others. 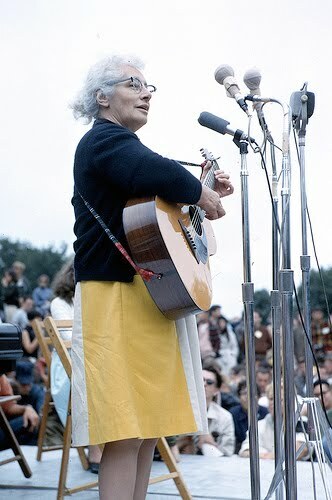 Two other artists that I have been listening to are Malvina Reynolds and Connie Converse. Let's first start with a double dose of Malvina. 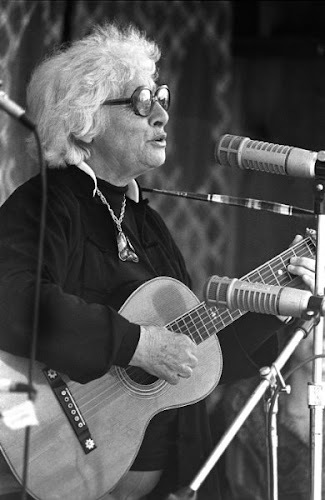 "Malvina Reynolds: The Worlds Gone Beautiful"
I recently picked up this self titled record over at Angry Mom Records. The album was recorded in 1970, when Reynolds was 70 years of age. The thing that caught my eye was that the Byrds and the Dillards (as well as others) make up her backing band. Anytime members of the Byrds and the Dillards got together, magic was made (reference the Dillard and Clark post over at Aquarium Drunkard). This album is not my favorite of hers, but it definitely has some shining moments on it. Simple and sometimes childish, the record is redeemed by the backing band. 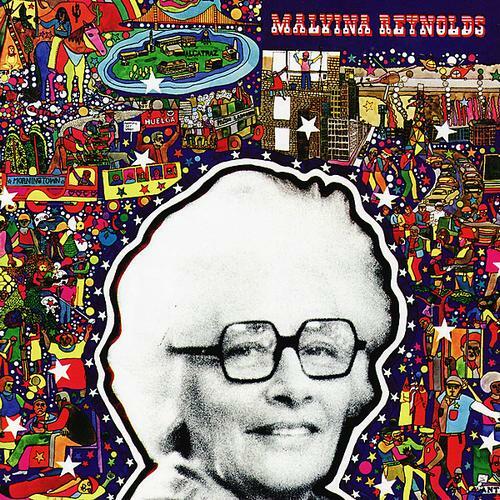 "Malvina Reynolds: God Bless The Grass"
This is an earlier record of hers, and my favorite. 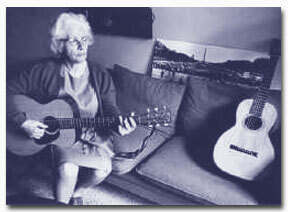 Recorded in 1967, "Malvina Reynolds Sings The Truth" has one of the songwriter's most recognized compositions on it- "Little Boxes". 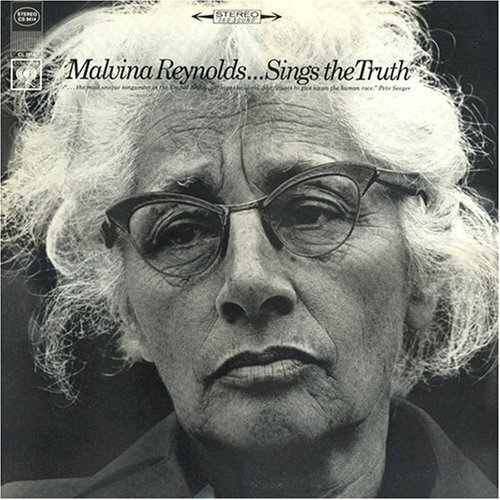 These are still some simple, yet beautiful, songs focusing on Reynolds' activist views and they remain a little more "bare-bones" than her later recordings. 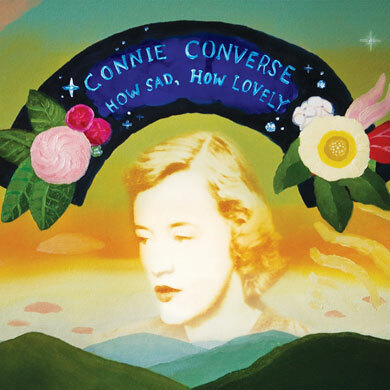 Next up, is Connie Converse. 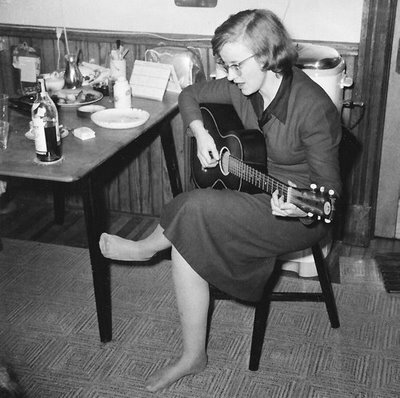 "Connie Converse: Talkin Like You (Two Tall Mountains)"
"Connie Converse: How Sad, How Lovely"
Connie Converse's record "How Sad, How Lovely" is actually comprised of recordings that she taped in the kitchen of recording engineer Gene Deitch back in the mid 50s. It's very interesting stuff. 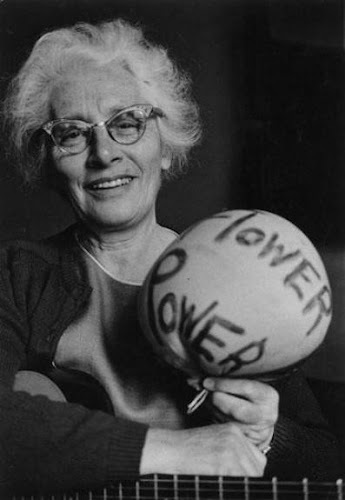 What is even more curious is her intentional disappearance in 1974. 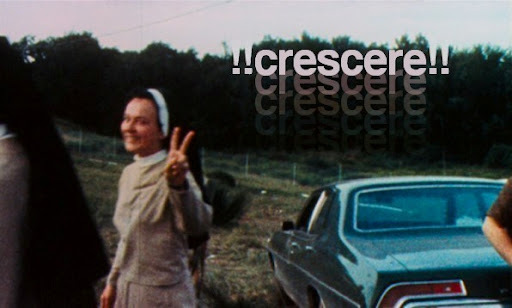 After writing letters to her friends and family of a desire to anonymously have a new start, Elizabeth Eaton "Connie" Converse packed up her VW Beetle and disappeared forever. If this mysterious story intrigues you, then you should definitely listen to this radio program that WNYC out of New York put together. Very interesting listen with some commentary from family and various recordings of Connie. I'd like to start a blog so I will be able to share my own experience and feelings online. Please let me know if you have any suggestions or tips for brand new aspiring blog owners. Thankyou!